On Detective Matt Jones's first night working Homicide in LA, he's called to investigate a particularly violent murder case: a man has been gunned down in a parking lot off Hollywood Boulevard, his bullet-riddled body immediately pegged as the work of a serial robber who has been haunting the Strip for months. Who has earned your trust? Do they deserve it? When Caroline Auden lands a job at a top Los Angeles law firm, she's excited for the challenge - and grateful for the chance to put her dark past as a computer hacker behind her. Right away, her new boss asks her to find out whether a popular GMO causes healthy people to fall ill. Caroline is only supposed to dig in the trenches and report up the ladder, but her tech background and intuition take her further than planned. A peaceful Minnesota town, where crime is something that just doesn’t happen, is about to face its worst nightmare. A young boy disappears. There are no witnesses, no clues — only a note, cleverly taunting, casually cruel. Has a cold-blooded kidnapper struck? Or is this the reawakening of a long-quiet serial killer? Though Sam has doubts about his innocence, she and her two associates (her closest childhood friend and a brilliant ex-con) take the case. 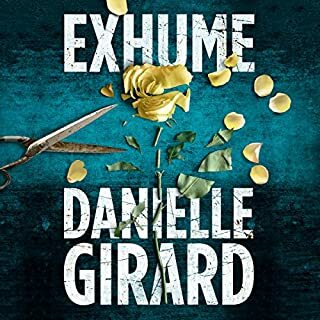 Notorious for living by her own rules - and fearlessly breaking everyone else's - Samantha pulls out all the stops in her quest to uncover evidence that will clear the detective. 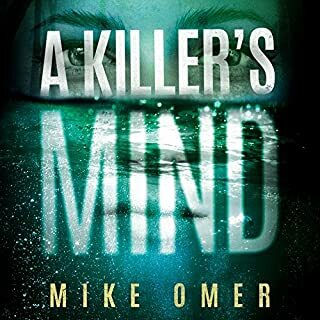 But when a shocking secret at the core of the case shatters her personal world, Sam realizes that not only has her client been playing her, he might be one of the most dangerous sociopaths she's ever encountered. ©2016 Marcia Clark (P)2016 Brilliance Audio, all rights reserved. Workable and workmanlike legal drama by Marcia Clark, the lead prosecutor in the O.J. Simpson case who retired from law immediately after that famous trial and became a writer. After writing a series of books featuring a prosecutor, Clark turns in this first entry of a new series to the defense. Samantha Brinkman is an interesting character whose past emerges as she defends a cop accused of killing a famous young starlet and her roommate, along with a few other cases along the way. While the story itself is probably no more and no less than a decent episode in a TV series, maybe worth a feature length film, it does not carry enough weight as a courtroom drama or as a thriller. The ultimate resolution of the murder case is particularly disappointing (though the set-up for follow-up entries is rather good). Worse than anything else is the narration. Tavia Gilbert has read a lot of YA, and whatever weight you might expect from Brinkman's character is lost because she sounds like a teen sleuth, like Nancy Drew. That's not altogether terrible -- until she gets to action sequences, where she goes completely over the top and becomes simply unbearable to listen to. I'm of the opinion that narrators rarely ruin good books, that it's usually in the writing. And no narrator was going to make this story more than an average legal thriller. But Gilbert's performance most definitely detracts from the best aspect of Clark's writing, the character of Sam Brinkman. The forthcoming second entry to this series does not yet list a narrator. Thanks to the final chapter set-up, I will likely give it a go -- unless Gilbert is the reader, in which case I will NOT listen to it. 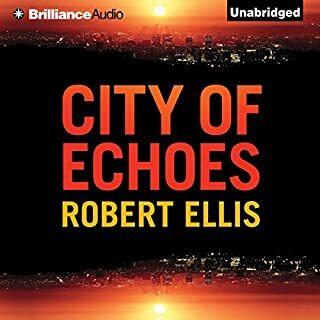 I can't get past the narrator's voice to listen to this book. 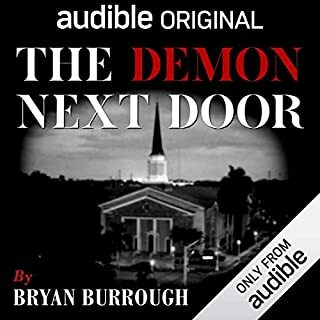 I originally ordered the book on Amazon for my Kindle and couldn't get into it so thought I would listen to it while I'm driving. I can't get past the narrator's voice to get into the book so I'm giving up and I'm only a quarter through. 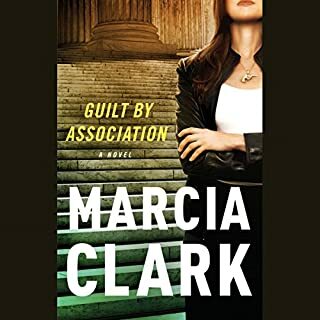 Would you try another book from Marcia Clark and/or Tavia Gilbert? 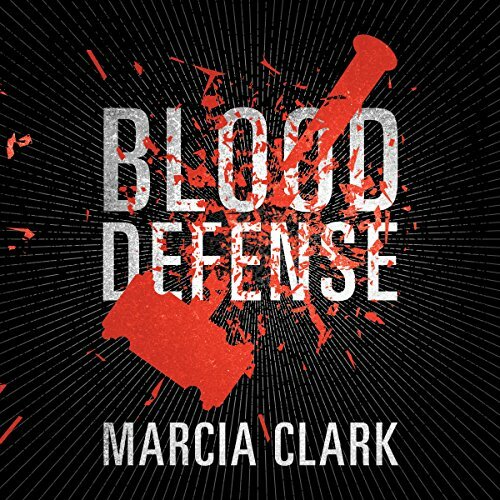 I was interested in Blood Defense because of Marcia Clark's experience in the courtroom, and I assumed that would come through in the novel. Unfortunately, the plot relies on an unbelievable sequence of events. Early on the protagonist Samantha Brinkman, a struggling defense attorney, has an extremely contrived encounter with a young delinquent who is also a client. I found myself shouting "no, no, no, this is not believable." From then on, everything that can go wrong does go wrong, and soon the "unexpected" bad turn of events becomes tediously expected. As well, there are incidents that would surely bring the police running in the real world, but in order to sustain the plot Clark acts as if they don't exist or are incompetent. The denouement is silly, and the final chapter is even sillier. The reading level of the book is basic, and makes too much use of current vernacular. I don't know how many times the phrase "I shot her a dagger" appeared - too many. There little character development. It isn't all bad, There are snippets of courtroom appearances, and the unfolding mystery held my attention through a little more than half the book in spite of its other defects. Clark clearly has real-world experience with the media, and some of Samantha's media interactions and observations are telling. The narration is mediocre. Tavia Gilbert has a fine voice but her reading sounds perpetually ironic, and she has a tendency to stress the wrong word in a sentence. Too bad - one hoped for better. I have not entirely given up on Clark or Gilbert, but I will read the reviews carefully before trying another one. This started off slow not sure it was the story or the narrator. But as the story advanced I did get into it. I really wanted to like it. Narrator extremely annoying. Premise was good, could not get past chapter 4. Will request refund. Did not love this book. Marcia Claek's writing is a little amateurish. Characters kind of thinly drawn and the story far fetched. Back in 2009 a friend of mine loaned me a book “Without a Doubt” by Marcia Clark. It was about the O. J. trial for which Clark was the head prosecutor. I was impressed by her writing skills. When she wrote the Rachel Knight series I read each of the books. I felt as a former prosecutor she was writing about what she knows best as Knight was a prosecutor. Now Clark has stepped out of her comfort zone writing about a defense attorney. The new series features Samantha Brinkman a criminal defense attorney. Clark has Samantha doing the legal expert bit on local T. V. shows just as Clark herself did. The plot begins with the murder of two women, a T. V. star Chloe Monahan and model Paige Avner. The police eventually arrest a local LAPD detective who was Chloe’s boyfriend. The book is well written, the pace is fast with lots of suspense as the plot twists and turns. There is some action toward the end of the book. As with the other Clark books there is humor. All of Clark’s principal characters are strong, intelligent women with a sarcastic wit. Clark writes a very realistic story that seems right out of today’s headlines. I am looking forward to the next book in the series. Tavia Gilbert does a good job narrating the story. I cannot honestly review the book, since the narration was so completely horrible I couldn't listen to it. Every blessed sentence was breathlessly read as high drama and in a slightly whiny tone. I gave the story 3 stars because it required me to enter something. This novel was a standard mystery, with a defense attorney putting the clues together. I am not a fan of formulaic mysteries like this, and so I only found it okay. I had expected a level of authenticity, given that the author is a prosecuting attorney of a high profile trial. Not so. She must have based this on fiction she has read rather than her personal experience. Too bad. It did keep me interested enough to finish, but there were some totally unrealistic moments. The protagonist often carries a gun, but she happened not to when investigating a remote and suspicious home. And when her life is in danger, she screams to get attention, but does not think of calling police on her cell phone. The characters don't feel real, but they had some personality. The reader seemed a little too whiny for an attorney, but she did voices very well and is probably perfect for other characters.There were just enough twists and turns to keep me listening. Whilst I listened to the end of this book I never really got used to the narrator’s voice. She was often too over excited in her delivery, and she also seems to miss the meaning of phrases she was reading by pausing or putting the wrong emphasis on words in a sentence which ruined it somewhat. It was a fairly pleasant legal drama, but had the most odd twist at the end which didn’t really endear me to the plot. It was entirely unnecessary. Overall ok.
Couldn't put it down gripps you from the word go with a twist in the tail . 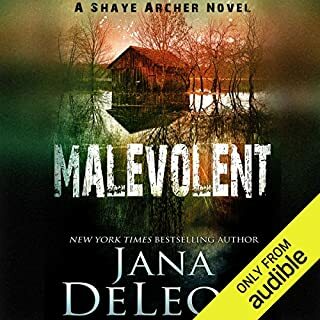 This was a really enjoyable listen and promises a lot for other books in the series! Without giving away the cleverest twist , that would be a spoiler! But the narrator was not up to the standard to convey it properly. Instead it sounded like a teenage girls bubble gum pink sashay through a light hearted murder story! By the end, she had either settled down into a more restrained narrative or I become used to it! Hopefully she won't read any more in this series...... otherwise I'll have to buy the kindle edition! I'd never heard of this author, so wasn't expecting much, mainly due to the cover image, but I was hooked right from the first chapter. If it weren't for the need to sleep I'd have devoured this book in one sitting! If like me you're a fan of John Grisham, then I'm sure you'll too will enjoy this book. A very unpredictable, gutsy story line with fantastic narration. I'm off to get the next book in the series - keep them coming Ms. Clark! If you could sum up Blood Defense in three words, what would they be? I enjoyed this book, the story was enjoyable. It did not invoke any emotional reactions as such, but I was travelling and it made for an easy listen. The only thing that spoiled it was the narration, and I had to take several breaks from the story due to the excitable tone of voice. I hate being negative, but I did not enjoy the narrator at all. I found her too excitable, and during the more dramatic scenes, I wanted to tell her to calm down. It was too much to listen to for any length, which is a shame, as the story was good. A well written story. Lovers of legal dramas would enjoy this book. I love murder/ mystery books and I have found a new author to follow and gather new tales. Blood Defence has the background and the gritty feel of reality that gives me a foundation for the story that makes me believe I know the whole area even though I have never been there - in fact I don't even live in the USA. I recommend this tale and this author to lovers of the genre.